Once upon a time AutoCAD could run on Mac and during the fall 2010 it is time for it again. It has been possible to run AutoCAD on Mac for some time but now AutoCAD for Mac is a native Mac application. Thinking about it last time I had a Mac from Apple was around 20 years ago and I was developing applications for it too. AutoCAD for Mac is a 2D and 3D product and use the same native DWG format as AutoCAD for Windows. LISP and Scripts are also supported even though some AutoLISP features will not work as they are Windows specific. Even the command line is still there as well as most other familiar AutoCAD features. A subset of ObjectARX and AutoLISP (not COM related stuff) will be available to developers and customers working on AutoCAD for Mac. Notable omissions include layer states, layer filters, the Sheet Set Manager and DWF/DGN/PDF underlay support. Project Butterfly Autodesk’s CAD in the cloud has been around for some time and this fall it’s time for Project Butterfly as a web and mobile application that will be called AutoCAD WS. “Autodesk also announced the AutoCAD WS mobile application, a new free* app soon to be available through Apple’s App Store that will extend AutoCAD to Apple’s iOS. The AutoCAD WS mobile application will enable AutoCAD users to edit and share AutoCAD files on iPad, iPhone and iPod touch so they can have real-time collaboration even while on the go. How do you insert the special character that causes the Widget (buttons on the Ribbon) label to force text to occupy two lines where you want it instead of automatic, like for Insert Block (the word "Block" or "1 Block" is on the second line). Copy and paste does not work of an existing one, nor does holding down "Alt" and pressing 013 (and other characters). I was not able to answer the question when I got it on email but later the same one found the answer and shared it with me and I thought I should share it here. When customizing the Ribbon with CUI enter “\n”, like in Insert\n1 Block, and it instantly converts to what it should be when you change focus to another field. An update is available for Windows 7 and for Windows Server 2008 R2 which provides new functionality and performance improvements for the graphics platform. Get the update KB2028560 here. I tried to install it but not sure how much is improved but give it a try. I found some mentioning that it might be a requirement for IE9 (Internet Explorer 9). It will probably come via Windows Update later on if needed. “Judging by the information shared by Microsoft, the performance and functionality boost update for Windows 7 is designed to kick up a notch key APIs (application programming interfaces) of DirectX 11. Users who have applied Update 1 for AutoCAD 2011 or AutoCAD LT 2011 and keep the Layer Manager open while using Plot, Render, Orbit, or Autosave may see AutoCAD become unstable when modifying any layer properties. If you have not applied Update 1 for AutoCAD 2011 or AutoCAD LT 2011, you do not need this hotfix. It is strongly recommended that you review the readme document before you apply this hotfix to your product. UPDATE: Autodesk has re-released the update as Update 1.1 for AutoCAD 2011 and AutoCAD LT 2011. Update 1.1 replaces Update 1 and includes the fix that was released in the aforementioned hotfix. This update is only for AutoCAD and AutoCAD LT and cannot be applied to vertical products that are based on AutoCAD 2011. .NET applications built for AutoCAD 2010 may not run on AutoCAD 2011. When opening multiple drawings, the minimize and maximize buttons may not always be visible. You may experience a random exception when loading custom ARX applications. When using Software Acceleration, AutoCAD may become unstable. When VSINTERSECTIONEDGES is set to “0” Camera preview can be extremely slow. AutoCAD may become unstable when stretching along the Z axis of the Gizmo. Using the Gizmo grip on a 3D model may not work correctly from the right-click menu. Navigation Bar tooltips may cause AutoCAD to become unstable when switching between drawings. Clicking on the “X” to close AutoCAD may fail if the drawing is maximized, and both the ViewCube® and SteeringWheels® function are enabled. AutoCAD may become unstable when using the Look tool in the WHEEL command. AutoCAD may become unstable when using 3D Orbit in degradation mode with 3Dconnexion devices. AutoCAD may become unstable when using the Walk tool in the SteeringWheel feature with degradation and when FPS is set to a limit of 30. Drawings containing 100 or more annotation scales cannot be reset. Third party applications may fail when using "removeCmd" in custom ARX applications. Multiline attributes in a dynamic block created in AutoCAD 2011 may not display in AutoCAD 2010. With Dynamic Mode set to “0” you may not be able to input Japanese or Chinese characters at the command line. AutoCAD fails to start due to Customer Involvement Program on Windows 7 workstations with Windows 2008 Server on the same subnet. When an Enterprise menu is loaded, the Workspace control in the CUI Editor may be grayed out. Unable to copy and paste toolbar controls in the CUI Editor. When switching profiles that point to a CUIx file that cannot be found, AutoCAD may become unstable. When using "^P" in a macro, the MENUECHO is not displayed properly. AutoCAD will display a CER (Customer Error Report) dialog when exiting AutoCAD with a digitizer configured. DGNIMPORT command may not work with the option to ignore external references. Some AutoCAD Mechanical objects cannot be selected after being inserted as a block and exploded. AutoCAD may become unstable when using eTransmit on drawings containing multileaders. AutoCAD may become unstable when a password protected screen saver displays on the screen. May have issues updating the Graphics Card drivers on Windows Vista or Windows 7. Some display drivers may show up as certified even though they were not certified. AutoCAD may become unstable when an External Reference is reloaded after XOPEN, EDIT, or SAVE. AutoCAD may become unstable when opening multiple drawings in the same session when running out of video memory. AutoCAD may become unstable when opening large amounts of drawings. Hatch may not display properly when dynamic blocks are part of the boundary and live preview is enabled. Some hatch objects on a newly thawed layer may require a “REGEN” to display. Some custom hatch patterns may not display in the Ribbon Panel. AutoCAD may become unstable when using grips to select hatches in some drawings. AutoCAD may become unstable when editing annotative hatch through the Ribbon. Hatch Scale may revert to 1 when setting transparency and angle on a hatch pattern on a 64-bit operating system. Welcome Screen Videos may not play on 64-bit operating systems. Searching Online Help may be slow. Changing layers transparently from the Ribbon will not update to the new layer when you complete the command. Layer properties cannot be changed transparently from the Ribbon. When a large amount of layers exist in the layer dialog, changing them in the Ribbon layer control will not update the layer dialog. After setting a new layer current, focus is set to the "Name" Column. Cascading license can't be checked out if one of the distributed server machines doesn't exist on the network. AutoCAD cannot get a license from the distributed server when one of servers is stopped. AutoCAD may become unstable when plotting a drawing with plot transparency set to "On". Protein Materials values created on a 64-bit operating system will not work on a 32-bit operating system. When FBXEXPORT is using the default settings, de-selecting the Insert as Block option in FBXIMPORT results in nothing being imported. Mtext Paragraph spacing cannot be removed. Text in AutoCAD Mechanical-created Fit dimension can change unexpectedly after DDEDIT. Unable to export multi-line attribute values with Object DBX. Drawings with OLE objects saved as a DXF file no longer contain OLE options. AutoCAD may become unstable when using undo on large drawings. FBX® files imported from Autodesk 3ds Max will not import unless materials are unchecked. AutoCAD may become unstable if a drawing REGEN occurs after editing a block. AutoCAD will not take advantage of the 3 gigabyte switch when enabled on a 32-bit operating system. Some PGP aliases may not function in AutoCAD LT.
AutoCAD may become unstable when SDI (Single Document Interface) is set to 1, while editing drawings with OPENPARTIAL are set to 1. Adobe Reader may display a warning message “Cannot find or create the font “ArialMT” when opening PDF files created in AutoCAD. AutoCAD may become unstable when publishing large drawings to PDF. AutoCAD may become unstable when inserting some BMP images. Saving with ISAVE, ISAVEAS, and ISAVE again may cause an error message that you cannot save the file. AutoCAD may become unstable in a side-by-side install if the files tab path points to the Install Directory of AutoCAD 2010. AutoCAD may become unstable when Regional and Language Options are set to Turkish language. Ribbon Fold Panels cannot be transferred in the CUI Editor. AutoCAD may become unstable if you have a "." in your menugroup name. While in a command, changing the workspace from the Quick Access toolbar will not work. Loading custom toolbars from the Ribbon may fail. All cut-away geometry in sectionplane may not display properly when selecting “Show Cut-away Geometry”. Selection Cycling displays when none should be visible. AutoCAD may become unstable when holding control and hovering over intersections of lines. Changing the Selection Cycling toggle from "Off" to "On" and then quitting AutoCAD may cause you to receive an error report. Crosshairs do not extend across the screen when set to 100% in isometric snap style. Visual Lisp may display an error message when using ads_defun and ads_regfunc calls in AcApp.arx. When using the lisp function, "vl-directory-files" may cause AutoCAD to become unstable if the directory path is long. DWG files in 2010 format should work the same as 2004 DWG format when it comes to WAN accelerators. The ACADCOMPRESSIONMODE envirionment variable is not needed unless you work with DWG files in 2007 format. This according to this Autodesk forum discussion thread. I found this handy link at Being Civil. Access Subscription Center—Learn how to create an account, retrieve lost user IDs or passwords, and access Subscription benefits. Use Subscription—Learn how to download software and Subscription Advantage Packs from Subscription Center. Manage Subscription—Learn how to manage Subscription contracts, renew contracts, and give users access to benefits. If you are on Autodesk Subscription and would like to use JTB FlexReport for licensing reporting as a FlexNet Manager alternative we only charge based on what you have subscription on so you don’t need to include each and every version of AutoCAD, Revit or whatever. When you think Apple you might not think building design or construction but perhaps not surprisingly, the staircase received a design patent in 2002 with Steve Jobs' name first, followed by several others. The staircase design itself received a design patent, and the complex glass and hardware system received a separate technical patent. Check out this blog post on The Vuuch Voice Blog PLM: Is it a productivity driver or are we just breaking expensive rocks? And who among us wants to make a bet that Dassault Systemes, Autodesk, PTC, Oracle and PTC are going to tell their price-sensitive, recession-wracked customers that release 432 of their PLM system won’t make a real difference? That more PLM, more CAD just ain’t gonna help shock the patient’s heart back into rhythm? Chris and I have a theory: CAD and PLM never really changed the way people work together. Those technologies simply automated aspects of the product development and manufacturing process that needed automation. 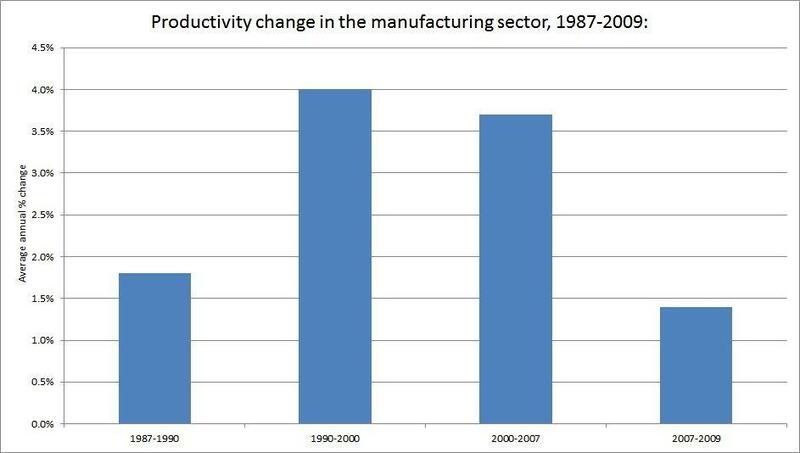 But once that was achieved — and productivity was boosted for a time — re-automating the same processes over and over again yields no substantive benefit. Knowledge Base documents like this: 3rd party application, CAD-DUCT, is crashing and 3rd party application, CADWorx, is crashing are a bit short of information I think or is there really a message in AutoCAD that specifies that the crash is in a 3rd party application? You have experienced a crash in a 3rd party application, CADWorx. Based on the report you submitted it appears that you have experienced a crash in a 3rd party application from CADWorx. Please visit the vendor's website at http://www.coade.com to see if there is an update to the application to address the crash you experienced. Nico Kläber takes the marriage of science and cooking to a new level with “Moléculaire”, the 3D molecular food printer. Moléculaire is influenced by chefs that scientifically and painstakingly experiment with food and food states to surprise and provoke fresh ideas in cooking. Kläber recognizes that this approach, as it currently exists, requires great skill, time and knowledge. The Moléculaire simplifies the process and acts as a computer numerical control (CNC) food printer for both professional and domestic kitchens. It autonomously prepares basic and otherwise difficult to create two and three dimensional parts of meals. It works with a layer by layer printing process using small particles from diverse ingredients. This provides simplicity, accuracy, repeatability and, of course, great tasting food! SmartPurger 3.2 is now available. Existing customers can just download the new version and if you’re interested there is a trial available to download from the SmartPurger page. SmartPurger is a robust scripting tool for any AutoCAD based product. Thousands of drawings can be automated with SmartPurger. You can make use of custom AutoCAD script or AutoLISP to do most any kind of work from simple changing layer states to more advanced tasks. If you want to learn new tricks on how to adjust the roof object in ACA then head over to Aussie ACA (ADT) that has in depth described things you might not be aware of. See all posts about roofs here.